We have a new Barbour 4x4 to add to the family this year. 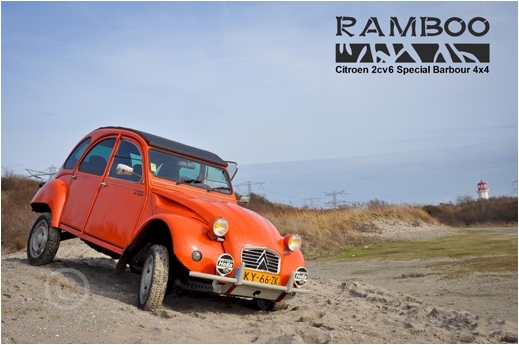 Ramboo has been beautifully constructed by Frank Henson in the Netherlands. The car is on our CARS page but please also go to his WEBSITE '2CV TRAVEL' to read all about his journey building this stunning Barbour 4x4. Quaife LSD for Citroen GSA now available! Barbour 4x4 are pleased to announce that they have in stock Quaife LSD's for the Citroen GSA gearbox. They are priced at €850.